The benefits of ginseng have been reaped for centuries to help promote well-being and vitality among the young and old. Keep reading to learn more about the herb for menopausal women, including ginseng benefits and potential side effects, to decide if its consumption is right for you. Native to East Asia, ginseng is a perennial adaptogenic herb that has been used for centuries in both Japanese and Chinese medicines. It is renowned for helping the body adjust to stress, fatigue, and the cold. The herb is often used for vigor and improved mental function by the elderly and for those subject to physical stress, such as athletes. How Does Ginseng Benefit Women? The herb contains phytoestrogens, plant compounds with a similar molecular structure to estrogen, which help replace declining estrogen levels in women about to end their reproductive years. As such, ginseng has been used to alleviate symptoms of hormonal imbalance - such as hot flashes and mood swings - and PMS. 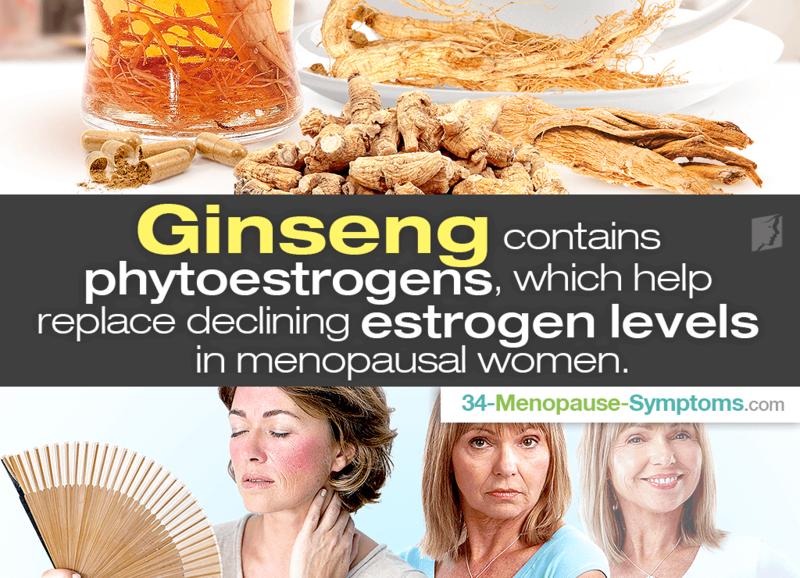 With its ginsenosides - known to improve brain function and blood flow - and phytoestrogens, ginseng can be considered an important tool to fight menopausal symptoms. Taking too much ginseng could lead to minor side effects, such as headaches, gastrointestinal problems, sleep disturbances, and nausea. Talk to a doctor about the health benefits of ginseng for women before taking the herb with other medications as mild interactions have been reported with the use of ginseng alongside anticoagulants (warfarin) and antidepressants (phenelzine). The herb has also been shown to interact with alcohol. Is ginseng right for you? Only you can know for sure. Research other alternative options; talk to other women going through menopause, and consult a doctor before deciding whether to take ginseng. Keep in mind that implementing lifestyle changes in addition to alternative medicine may be more effective. Learn more about how to treat menopause symptoms in order to make the best informed decision for your own health. Chevallier, A. (2000). Encyclopedia of Herbal Medicine. New York: DK Publishing, Inc. Available from Google Books. O'Mathúna, D. & Larimore, W. (2006). Alternative Medicine. USA: Zondervan. Available from Google Books.